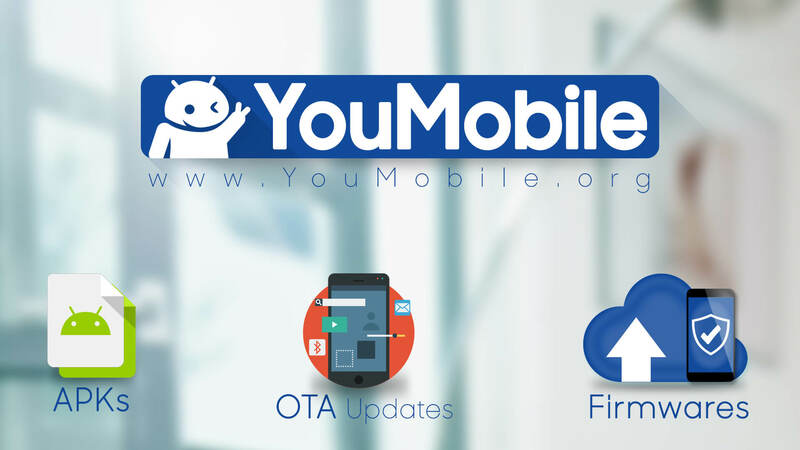 YouMobile® Team is working hard on bringing you the best services to keep you updated, our unique exclusive Updates Tracking Systems are very successful that lets you know what / when you will get your next Android update will arrive. After the huge success of the Samsung Updates Tracking Page and HTC Updates Tracking Page, we are launching Sony Updates Tracking Page and Nexus Updates Tracking Page. We will keep the track of Android updates of Xperia smartphones / tablets along with Google's Nexus smartphones / tablets too. We are also looking on adding more manufactures (LG, Huawei, Motorola... etc). 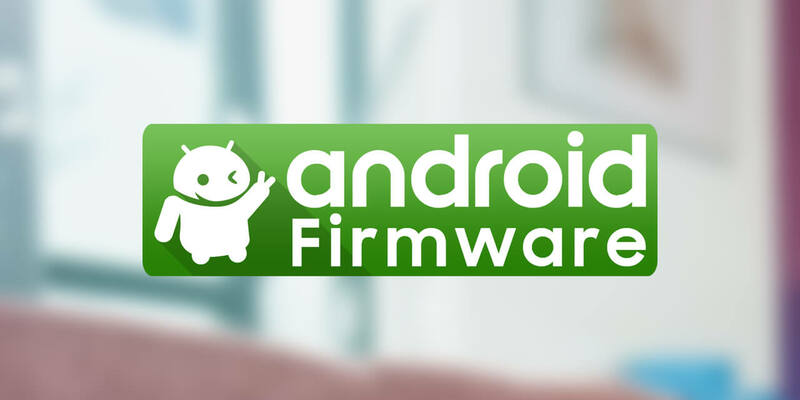 We are also working on our new AndFirmwares section that will include official Android firmwares from all other manufactures keeping YouFirmware exclusive to Samsung firmwares only. We also have improved our Android App with all many new features, Material Design and auto-sync notification and it's currently passed the 50K - 100K downloads on the Play store. Our main Goal is providing you with the best services possible. You can know more About us Here, Thank you for your trust. Surveys indicate that about 1.3% of all devices running Android are still running Gingerbread on them and if you are one of those users, it's REALLY time to upgrade. Google has officially declared that all support for Android 2.3.x devices will be discontinued from 2017, as soon as they launch the next version of the Play Services (v10.2). What this means is that your device will neither be able to load any of the Google Play service applications, nor will it get any updates to the existing apps on it. The minimum OS requirement for availing the Google apps and services will shift to Android 4.0.1 Ice Cream Sandwich, post the launch of Play Services version 10.2 next year. According to Google, "Version 10.0.0 of the Google Play services client libraries, as well as the Firebase client libraries for Android, will be the last version of these libraries that support Android API level 9 (Android 2.3, Gingerbread). The next scheduled release of these libraries, version 10.2.0, will increase the minimum supported API level from 9 to 14 (Android 4.0.1, Ice Cream Sandwich). This change will happen in early 2017." "The Gingerbread platform is almost six years old. 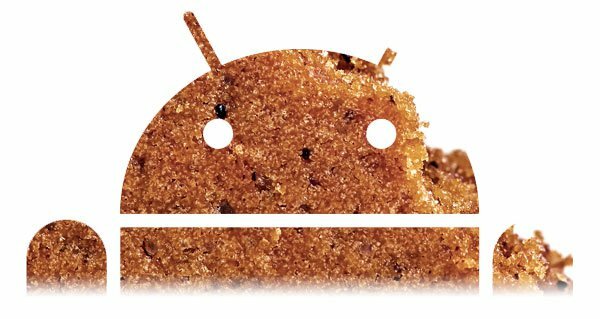 Many Android developers have already discontinued support for Gingerbread in their apps. This helps them build better apps that make use of the newer capabilities of the Android platform. For us, the situation is the same. By making this change, we will be able to provide a more robust collection of tools for Android developers with greater speed." I would suggest that you upgrade to a very minimum of Android Lollipop 5.1.1 or preferably Android Marshmallow 6.0.1 when you do, because Ice Cream Sandwich is sure to be cut out soon as well. Google is currently rolling-out the first Google Play Services 8.3 update for all Android devices worldwide. We still don't have the full change-log for this update yet but it should be posted very soon on the official Google Android developers blogspot. So far, Google Play Services 8.3 brings more Android Auto desktop new features support and the Android Auto companion app from the play store. Also this release brings support for Android 6.0 Marshmallow final release and the New Google icon design too. If you don't want to wait for the update to hit your device, you can download the Official Google Play Services 8.3 APK below. Make sure to follow the instructions below to get the version required for your device. *WARNING*: We've seen reports of constant crashes with these. Proceed at your own risk. It seems that -7YZ builds became -4YZ with Google Play services v6.5. If you were on -7YZ before, you should now install -4YZ. It seems that -4YZ builds got split into -2YZ for Lollipop and -4YZ for Marshmallow with Google Play services v8. If you were on -4YZ before, you should now install -2YZ in Lollipop and -4YZ in Marshmallow. Looks like -8YZ builds are for Android TV. Google is now officially Rolling-out the Google Play services 6.1 update to all Android 4.1+ users. This a major update for the Play services App that packs many changes and enhancements to get your device ready for the Android L official release, which is seems to be pretty soon. Among the update's changes is an improvement for analytics Enhanced Ecommerce, originally launched with Google Play Services 5.0, is an ecommerce tool to give sellers insights into product clicks, impressions, and other info. Support for Enhanced Ecommerce has been added to Google Tag Manager in this release. 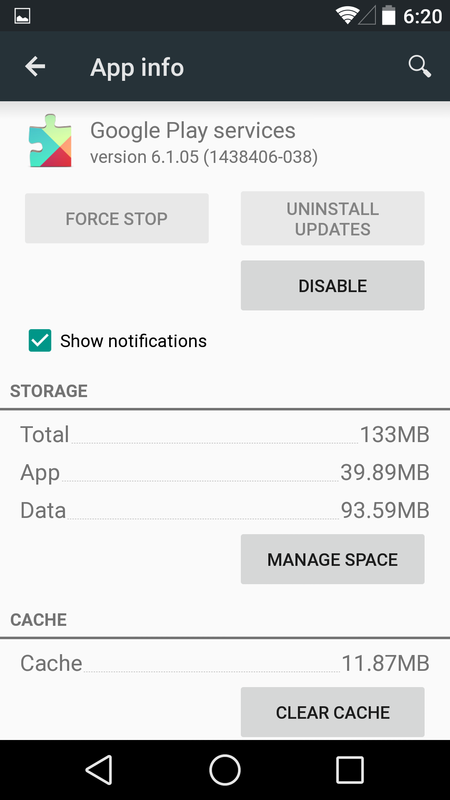 The update will also include enhancements to the Drive Android API, making it easier to resolve conflicts between local and server files. Additionally, the Google Drive file picking interface has been given a major material refresh. If you don't want to wait until you get the update on your device. 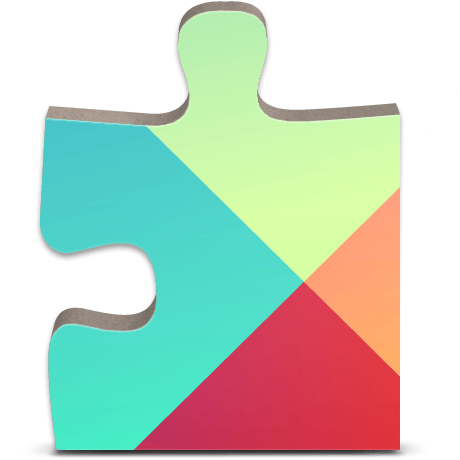 You can Download the Official Google Play services APK from the link below. The APK provided has not been modified by any means. Google is now officially Rolling-out the Google Play services 6.1.11 update to all Android 4.1+ users. This a major update for the Play services App that packs many changes and enhancements to get your device ready for the Android L official release, which is seems to be pretty soon. Google has just pushed a new update to the Google Play Services App to version 6.1.71 which brings some minor enhancements. 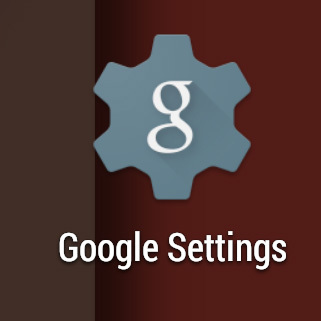 The first think you'll notice is the New Material Icon for the Grey "Google Settings" App on your App drawer. The Update also packs some UI tweaks that brings the Android L Material-style check-boxes. Note that his APK behaves oddly on the L preview. The colors are dark, resources mismatched, and the overflow button causes a force close. It seems Google is holding back some updates (like the Play Store) from the L preview, likely due to API conflicts. If you are using Android L Preview, Download at your own risk! 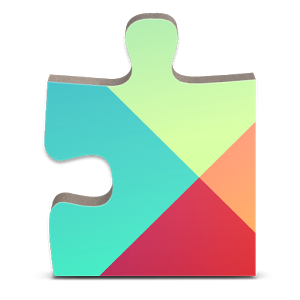 you can get Google Play Services 6.1.71 from link below. The APK provided below is official and has not been modified by any means. Google Play services 6.5 is now Rolling-out. 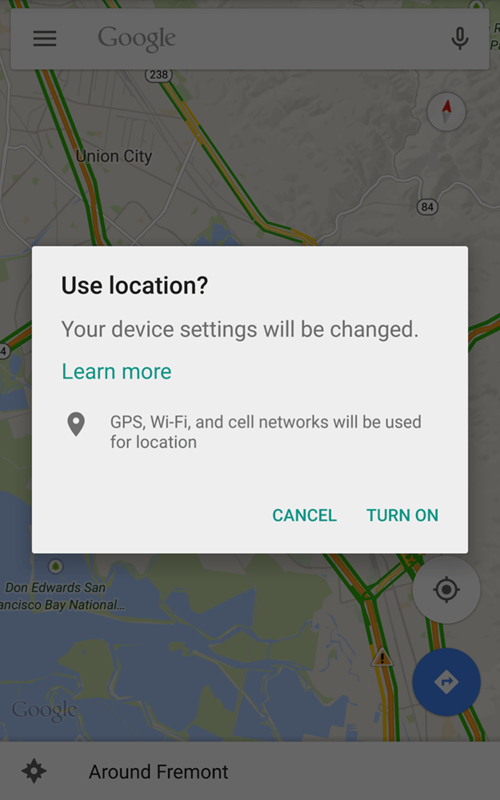 This release of Google Play services Adds New features to Fit, Maps, Drive, And Wallet Apps. Also, when the SDK lands, it will finally answer the single most common complaint from developers that the GMS library is just too damn big (4-5 MB). Maps will receive the lion's share of new features with Play services v6.5 update. To begin with, applications making use of maps will now include two convenient buttons in the lower-right corner that will instantly take the user to the Google Maps app for directions and turn-by-turn navigation to the currently selected address. Developers are free to disable these buttons if they prefer to offer a more customized interface. Another handy addition will come in the form of a new "lite mode" map which is designed to be smaller and less interactive. These simplified maps are intended to be used more like thumbnails, allowing several to comfortably fit on a screen at once. To round things off, developers are finally gaining the ability to send users directly into the Google Maps application and immediately initiate a search, turn by turn navigation, or Street View. You can get Google Play Services version 6.5 now from link below. The APK provided below is official and has not been modified by any means. Google Play services 6.5.99 is now Rolling-out. This release of Google Play services Adds New features to Fit, Maps, Drive, And Wallet Apps. Maps will receive the lion's share of new features with Play services v6.5.99 update. To begin with, applications making use of maps will now include two convenient buttons in the lower-right corner that will instantly take the user to the Google Maps app for directions and turn-by-turn navigation to the currently selected address. Developers are free to disable these buttons if they prefer to offer a more customized interface. Another handy addition will come in the form of a new "lite mode" map which is designed to be smaller and less interactive. You can get Google Play Services version 6.5.99 now from link below. The APK provided below is official and has not been modified by any means. Google Play Services version 7.0 is Now Rolling-out to all Android device worldwide, bringing the latest APIs and fixes to the whole Platform and Google Apps too. Play Services 7.0.8 packs new "Places API" that makes it easy to get details from Google's database of places and businesses. The built-in place picker makes it easy for the user to pick their current place and provides all the relevant place details including name, address, phone number, website, and more. The update also packs a complete "Google Fit API" integration, New Google Play tools that turns your Android smartphones into a second-screen controls to the game running on your TV. Also, this release has "App Indexing", which lets Google index apps just like websites, enabling Google search results to deep-link directly into your native app. If you don't want to wait for the update to hit your device, Download the Official APK below. To figure out the right version of Google Play Services for your Android device, go to Settings -> Apps -> Google Play services, and look at the last 3 numbers in the parentheses. You'll see something like -XYY where X is 0 for pre-Lollipop and both 4 and 7 for Lollipop+, and YY is a specific variant id. -738 means you need the APK that has -738 and so on. Google Play Services version 7.0,96 is Now Rolling-out to all Android devices worldwide, bringing the latest APIs and fixes to the whole Platform and Google Apps too. Play Services 7.0.96 packs new "Places API" that makes it easy to get details from Google's database of places and businesses. The built-in place picker makes it easy for the user to pick their current place and provides all the relevant place details including name, address, phone number, website, and more. Google Play Services 7.3 is currently rolling-out with various bug fixes. If you've used Android Wear with your phone, you'd have noticed the annoying persistent notification that sits in your phone's notification drawer forever. With this latest Google Play Services 7.3 update, Google has gotten rid of the notification. This means there isn't another notification sitting permanently in your notification drawer that you couldn't get rid of anymore. The update also brings an updated UI for configuring Trusted Places, the feature that allows your phone to stay unlocked in a certain location. You can now choose on a map the location instead of simply typing it out and it shows the area with a blue dotted circle on the map that is the safe zone. 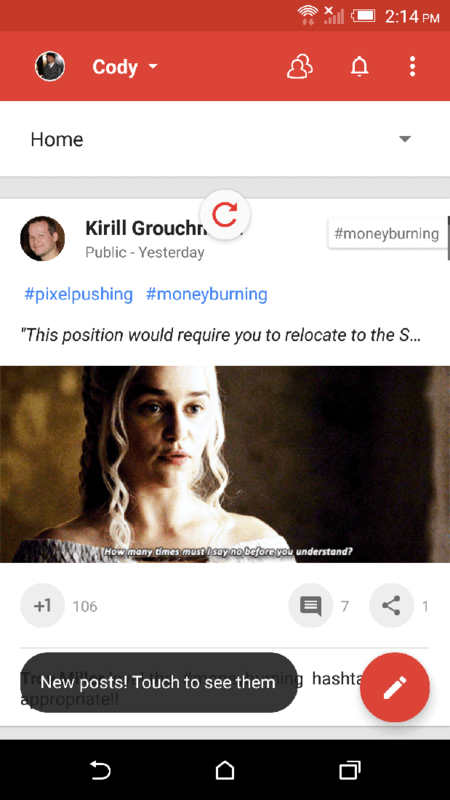 The update also adds a new pull-to-refresh animation in the Google+ app. Google Play Services 7.5 is currently rolling-out with various bug fixes. If you've used Android Wear with your phone, you'd have noticed the annoying persistent notification that sits in your phone's notification drawer forever. With this latest Google Play Services 7.5 update, Google has gotten rid of the notification. This means there isn't another notification sitting permanently in your notification drawer that you couldn't get rid of anymore. If you don't want to wait for the update to hit your device, Download the Official APK below. It seems that -7YZ builds became -4YZ with Google Play services 6.5. If you were on -7YZ before, you should now install -4YZ. Google Play Services 7.8 is currently rolling-out with various bug fixes. 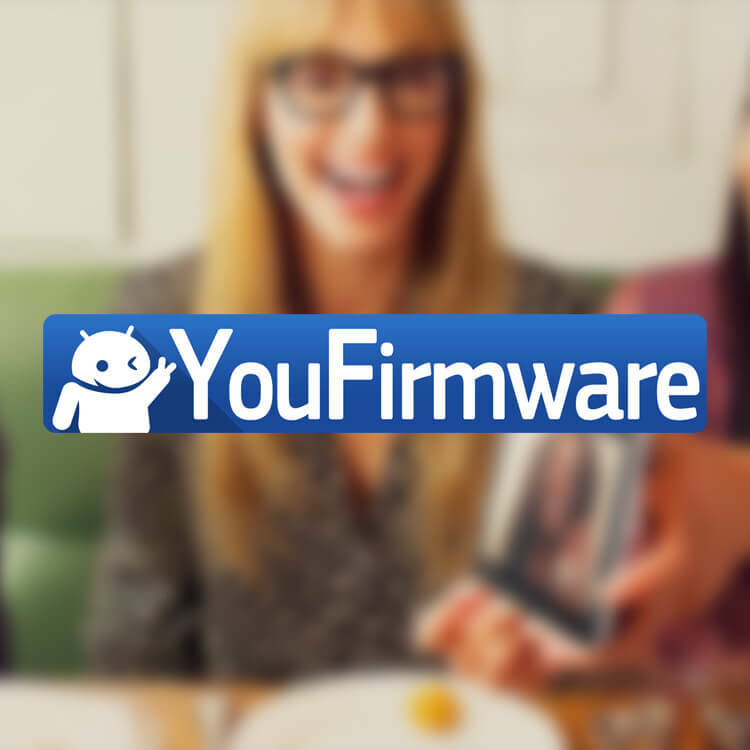 The update brings some new APIs for Android wear and Android TV along with new libiraries. Also with this latest Google Play Services 7.8 update, Google has gotten rid of the notification. This means there isn't another notification sitting permanently in your notification drawer that you couldn't get rid of anymore. If you don't want to wait for the update to hit your device, Download the Official APK below. Make sure to follow the instructions below to get the version needed for your device. Google is currently rolling-out the first Google Play Services 8.1 update for developers, the app finally jumps from (v7.9 to v8.1). We still don't have the full change-log for this update yet but it should be posted very soon on the official Google Android developers blogspot. 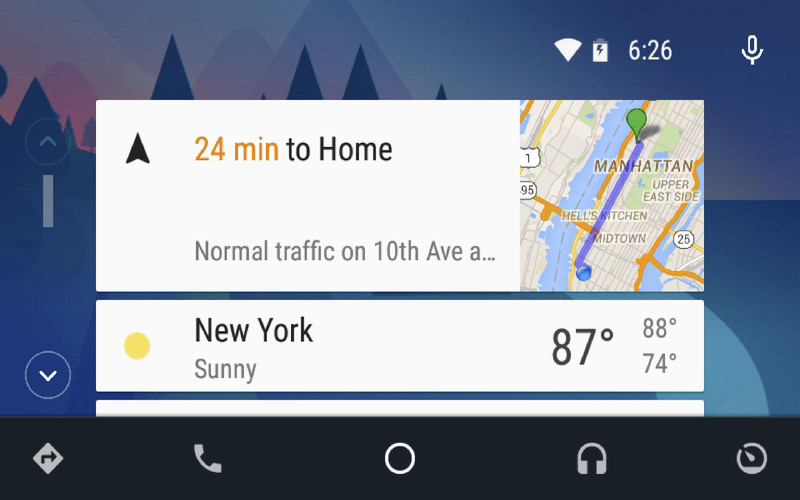 So far, Google Play Services 8.1 brings more Android Auto desktop new features support and the Android Auto companion app from the play store. Also this release brings support for Android 6.0 Marshmallow Developer preview 3. If you don't want to wait for the update to hit your device, you can download the Official Google Play Services 8.1 APK below. Make sure to follow the instructions below to get the version required for your device. Google updated its Play Services quietly to add a couple of new security options. Smart Lock got new Trusted Places along with the existing Trusted Faces. To take the Smart Lock further, Google is now rolling out an "on-body detection" feature in the Smart Lock mode to all Andoid users. The idea is to let your phone detect its proximity to you in order to save itself and your data from being stolen. 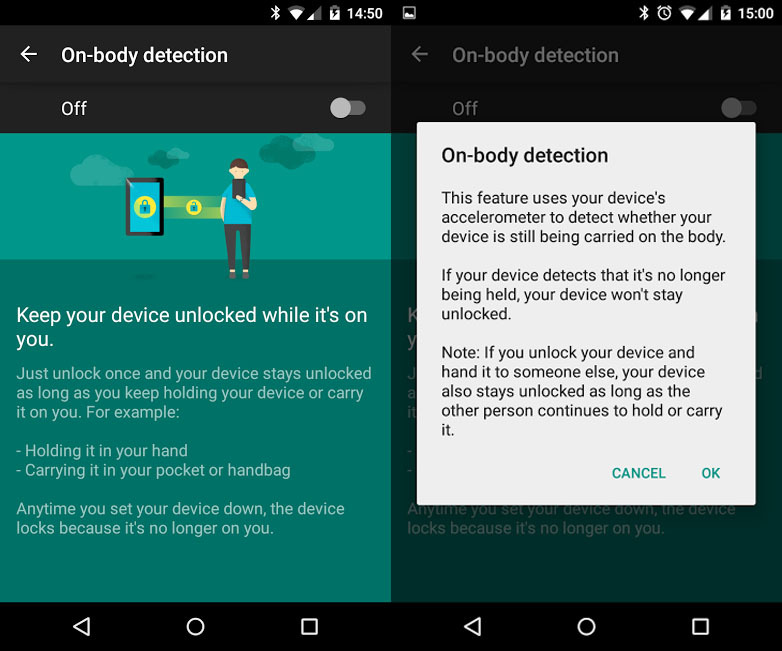 The new on-body protection feature uses the accelerometer to estimate whether you're holding the device or it is in your pocket. When you are holding the device or have it in your pocket, then the device stays unlocked for quick access. With the on-body detection in Smart Lock enabled, if the you leave it on a table or in a bag it gets locked automatically. This new security feature is being rolled out to the Android 5.0 and higher smartphones in stages, currently available for Nexus 6. Also, this update will requires Google Play Store 7.0.97 and higher version running on the Android 5.0 Lollipop based phone.